Save Additional $224.70 When Paying With Bank Wire. You pay $7,265.30. Automatic self-winding movement. Self-compensating balance spring, solid gold rotor, 48 hour power reserve and engraved with the Geneva Seal. 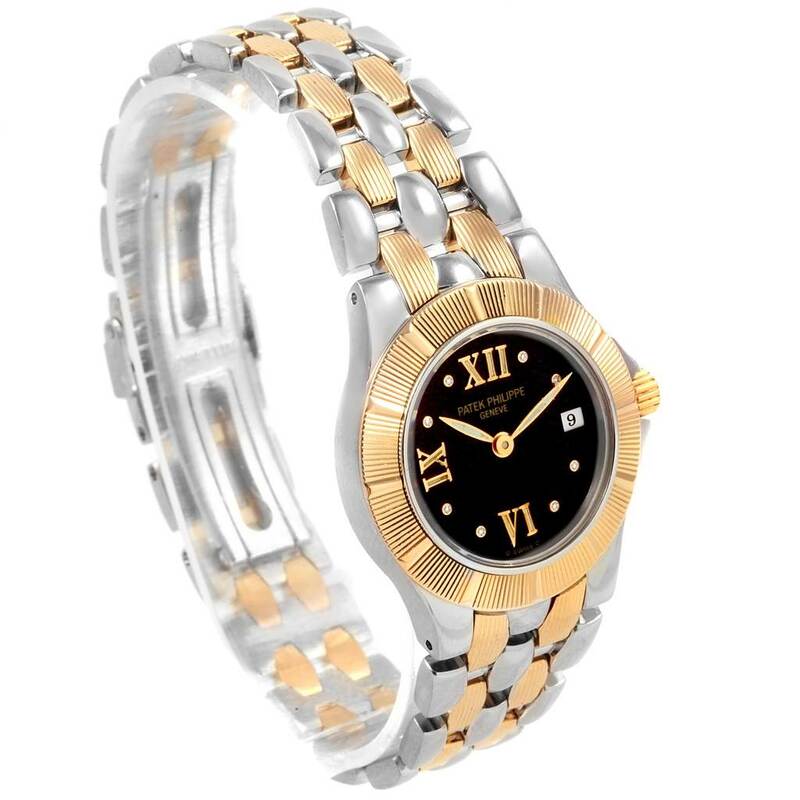 Stainless steel and 18k yellow gold round case 27.3 mm in diameter. Shouldered screw down crown. 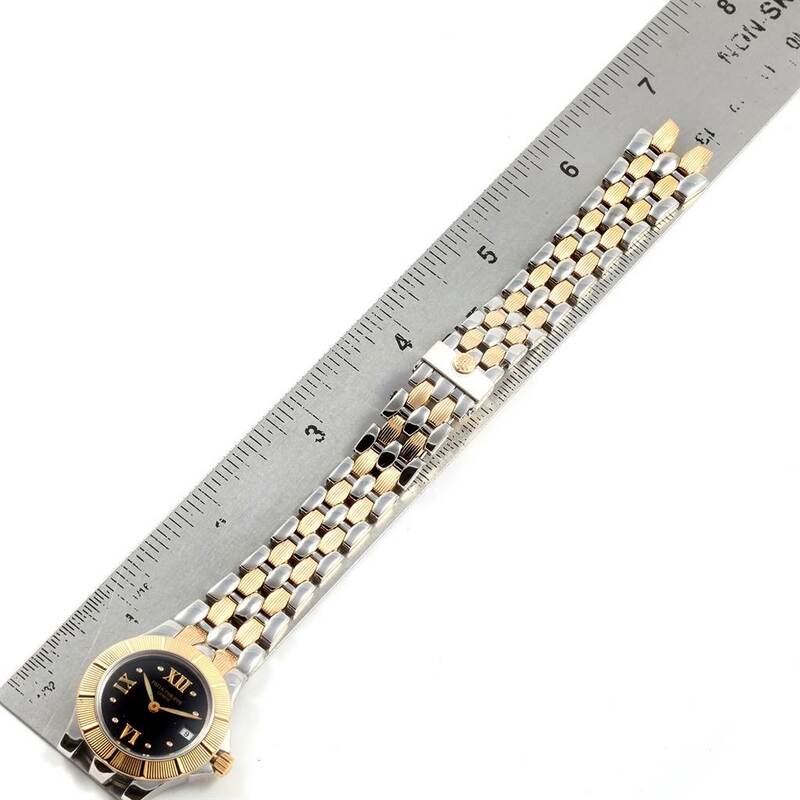 18K yellow gold reeded graduated bezel. 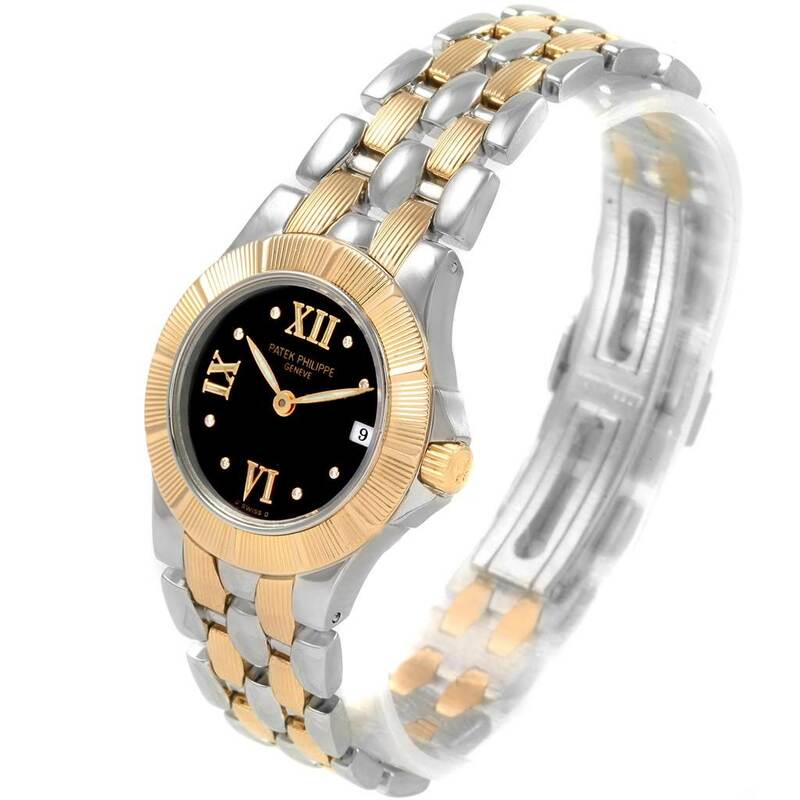 Black dial with large raised golden roman numerals, inside minutes chapter. Luminous yellow gold feuille hands. Sweep Centre seconds. Date window at 3 o'clock. Stainless steel and 18K yellow gold link bracelet link bracelet. Fits 8" wrist. 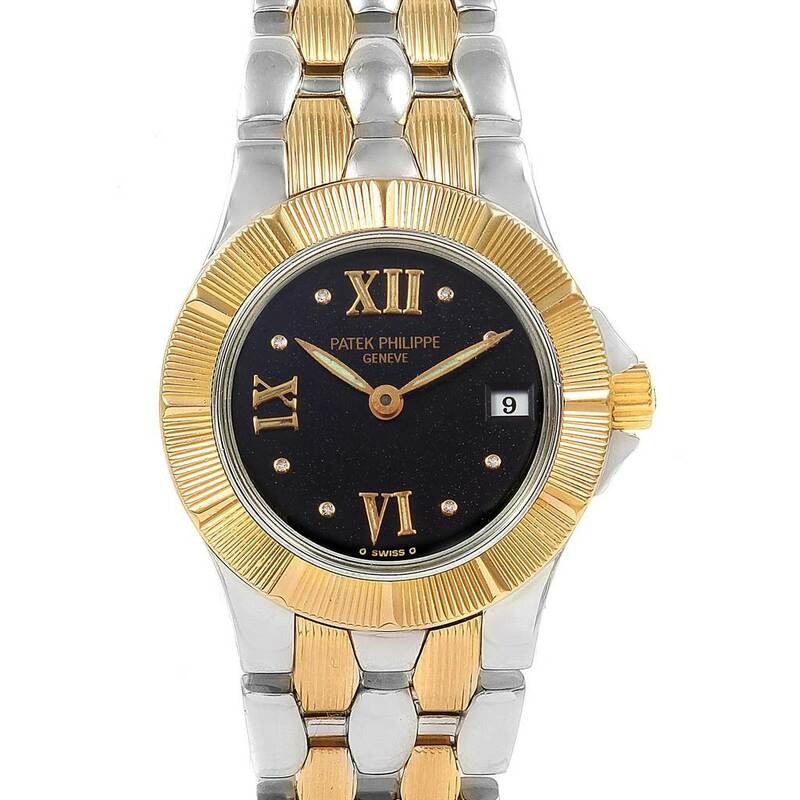 Patek Philippe Neptune Steel 18k Yellow Gold Ladies Watch 4880. Automatic self-winding movement. Self-compensating balance spring, solid gold rotor, 48 hour power reserve and engraved with the Geneva Seal. 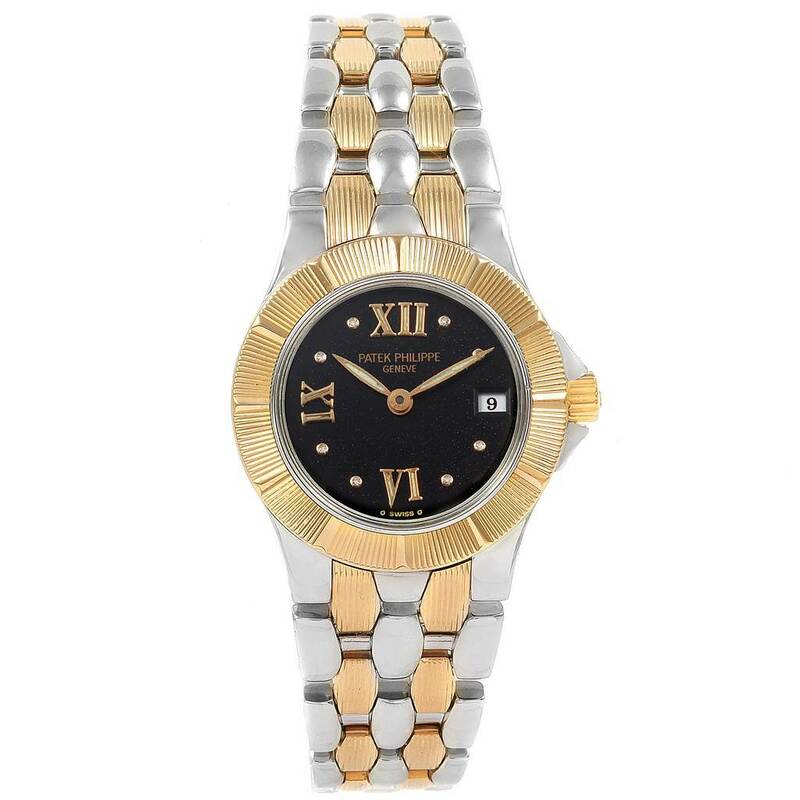 Stainless steel and 18k yellow gold round case 27.3 mm in diameter. Shouldered screw down crown. 18K yellow gold reeded graduated bezel. Scratch resistant sapphire crystal. 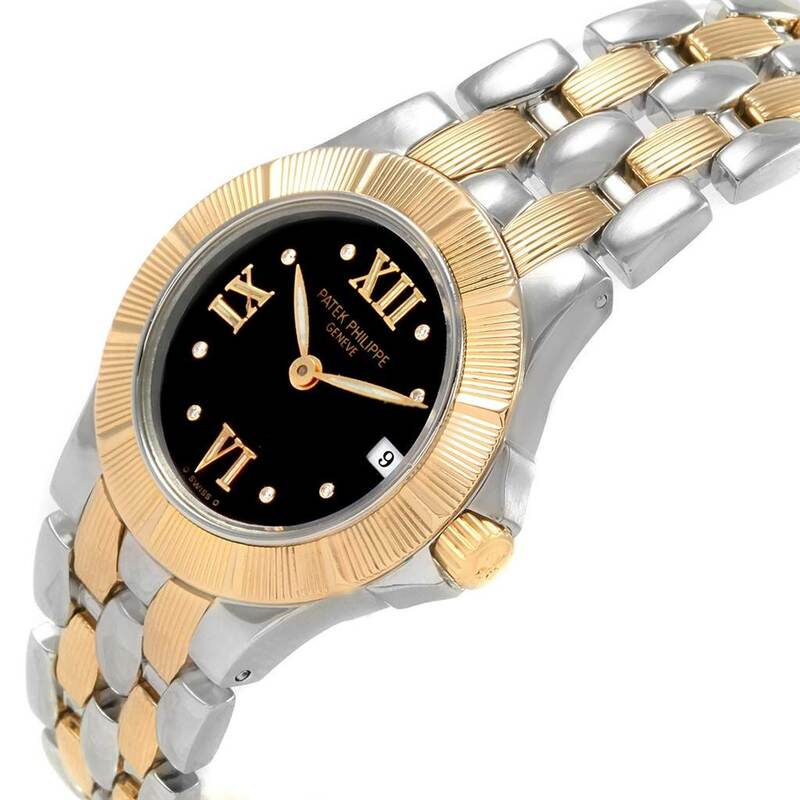 Black dial with large raised golden roman numerals, inside minutes chapter. Luminous yellow gold feuille hands. Sweep Centre seconds. Date window at 3 o'clock. 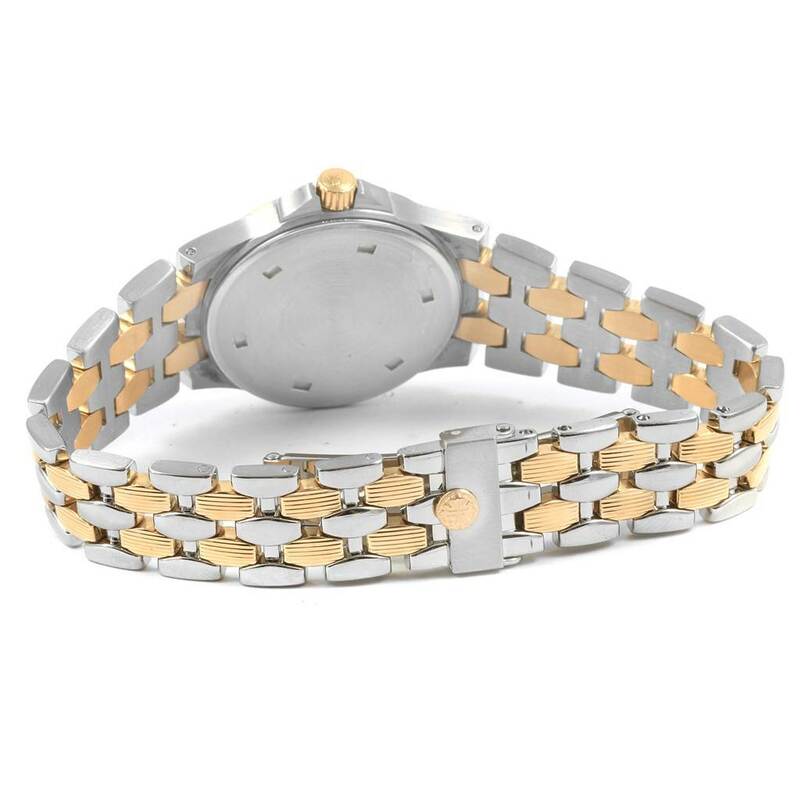 Stainless steel and 18K yellow gold link bracelet link bracelet. Fits 8" wrist.